If there is one thing you're guaranteed to do when you're in school it is that you'll be taking tests. From your first days as a kindergartner to your final days of grad school you'll be filling in small bubbles on a test sheet to prove your knowledge on any given subject. 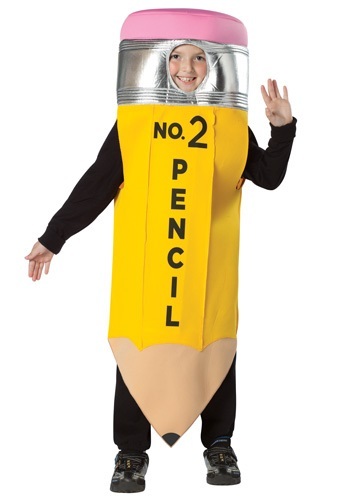 Now your little one can be the tool that makes those tests work with this cute pencil costume. What's it like to be clock? Well, you lose all ability to say you lost track of time when you're late, and for some of us that's a big loss. This little guy shouldn't be worried about time, because he's young and has all the time in the world. What do you do with that kind of time? Why, you become a clock, of course! Or, at least, that's what we like to think, because we think this is for any kid who loves enchantment, any kid who is constantly humming Westminster Chimes, and especially for any kid who is always asking, "What time is it?" We think it's great for a stage production, or for those times during the year (usually in the summer) when you just need to be a clock for a bit. It's time to get creative and glow! Design your own cool glow in the dark jumpsuit with the help if this Child DIY Lightsuit Costume. You get to make your own crazy glowing sensation. Just crack the glow sticks and stick them on the suit, then hit the lights! Have a fun dance party in the dark while you wear your glowing suit! 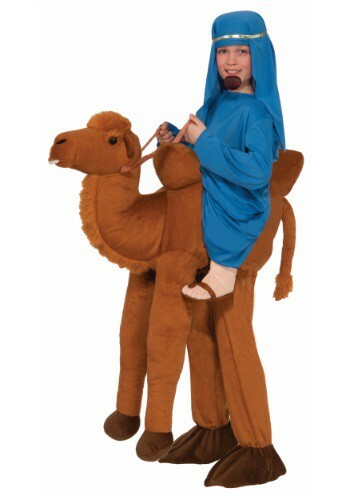 This Ride A Camel costume will let your little guy become a Arabian prince or desert traveler. He'll be able to traverse great distances with his new-found best friend, and we're sure he'll become a wise, wise man from all of his travels. 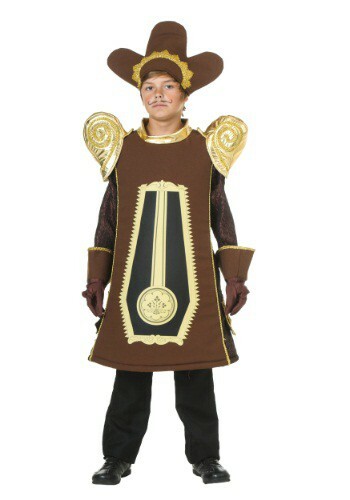 Let your little guy get ready for some Arabian nights with this costume. And having a plush camel as your ride is much, much easier than having to care for a real caravan critter. The best part? You don't even have to feed him! Shine bright like a star! 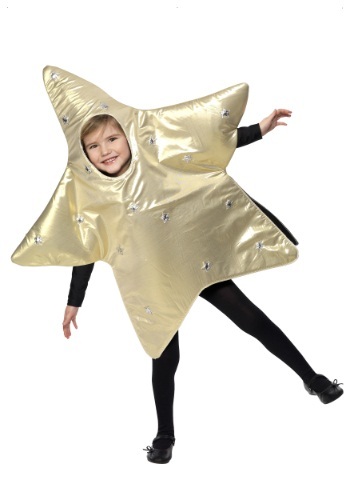 Your child can be the "star" of the Christmas Pageant, we just hope he has good balance when he's standing on top of the Christmas tree. This is the costume that will really bring the holiday spirit! Do your kids leave trails of debris in their wake? 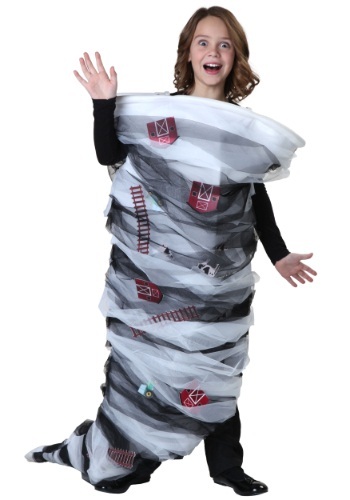 Then they'll love this Child Tornado Costume! It looks quite realistic, and the cutouts can be randomly tucked into the netting for even more realism. They'll take the world by storm! When you go to the zoo there are some adorable shelled animals waiting to say hello. These turtles love to stroll around and eat some tasty leaves. But when these guys see a rabbit they can't help but race. Now your little one can become the slow and steady race winner with this great turtle costume. Life on the streets is nothing to poke fun at... unless it's your sweet tooth that left your life in ruins. Those sweet sugary indulgences can burst both your belt line and your bank account. If your child is a diehard candy kind of kid (and whose aren't...) give him a go in this Will Work For Candy Costume. He'll finally know what it's like to toil all day for a delicious treat! Patience you must have, my young padawan. Much time it takes, to learn the ways of the Force. 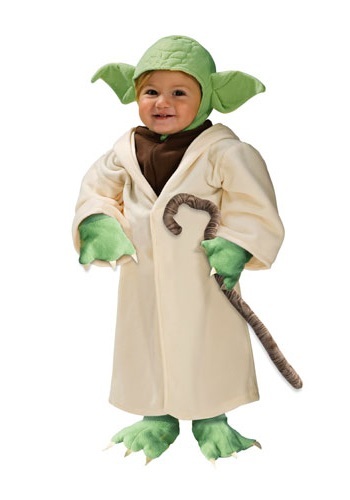 But look like a Jedi Master you can, in this licensed Yoda Toddler Costume! Size matters not, when the Force is your ally. Will you become a Jedi? Impossible to see, is the future. But feel the Force, and mind what you have learned. Save you it can! Perhaps Ralphie would have been less embarrassed had he received a this pink bunny hoodie instead of the full body bunny suit on Christmas. Perhaps he would have been glad to have the extra pair of glasses to make up for wrecking his while trying out his new gun. Why not give your child a Christmas Story Bunny Hoodie and see how he reacts? Either he'll show that appreciation for bunny suits has risen since back in the day, or that embarrassing gifts remain bad no matter what generation receives them! If your little one loves to monkey around then they'll love becoming this loveable primate. Once in this suit your tiny tot will more than likely start to pretend that they're swinging around the jungle causing mischief with the other jungle animals. What could this monkey get up to? Pulling a tiger's tail, teasing the gorillas with bananas, or even giving the lion's mane a haircut. The jungle will be a wild place when your child becomes this fun loving monkey! When you dress your child in this Infant Business Executive Onesie, you'll have everyone asking him for stock advice this Halloween. It's a soft cotton/spandex stretch knit and allows easy diapering via crotch snaps. Give him a head start into the business world! Kids have busy days. They have to get up right away in the morning, eat their frosted mini wheats, or oatmeal, or pop tarts. Then they have to run off to school and learn about physics, and math, and spelling. Then they have to run home, do chores, do homework, eat dinner, and go to bed just to do it all over again in the morning. When would they ever have time to hit the gym and beef up? 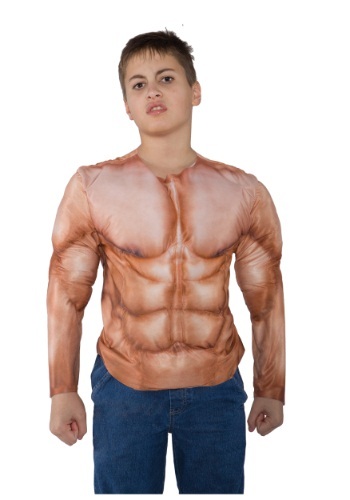 It's a modern kid problem that can be easily alleviated when they go in this Kids Padded Muscle Shirt! It gives them that muscle man physique without hurting their grades. What is something that everyone really thinks is neat? That would be a $100 bill. When someone sees it their eyes light up and ideas fill their mind about what that money could be used for. Some people save it while others buy 100 $1 burgers. 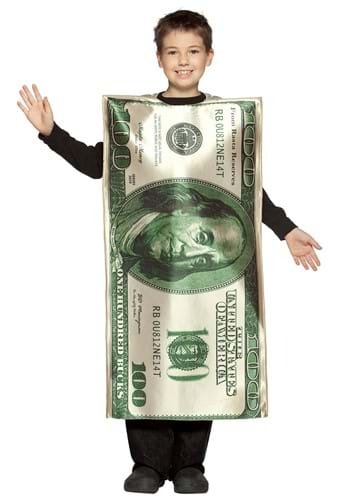 Now your little one can look like $100 bucks in this great money shaped costume. Who is the cutest little girl in all of Bedrock? That would be Fred and Wilma Flintstones's daughter Pebbles. This tiny cavegirl has won every single beauty pageant the town has had. 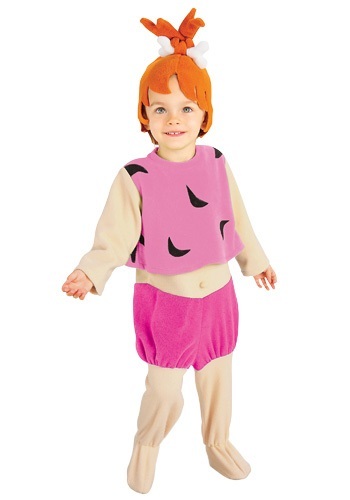 Now your little one can look just like Pebbles in this classic cartoon costume. Paper beats rock. Rock beats scissors. And scissors beats paper. Everyone knows the rules, but not everyone is a master of strategy. And you have to be a master of strategy to compete in the USA Rock Paper Scissors League. If you win the USARPS Championship you'll be going home with a $50,000 check. And that's no chump change! If you think your kids might be future champions, this costume 3 pack will let them steal the show. And it might just solve some of their inter-sibling disagreements! This Toddler Farmer Costume will have him singing "E-I-E-I-O" all night long! It's perfect for the child who's fascinated with farm animals. Make a group theme by dressing his siblings in cow, pig & chicken costumes! When you're driving through suburbia you may notice little bearded men standing on some lawns. These are the lawn gnomes and they keep everyone's yard safe. But the thing about these gnomes is that if you blink you may miss them because sometimes they're there and sometimes they disappear. 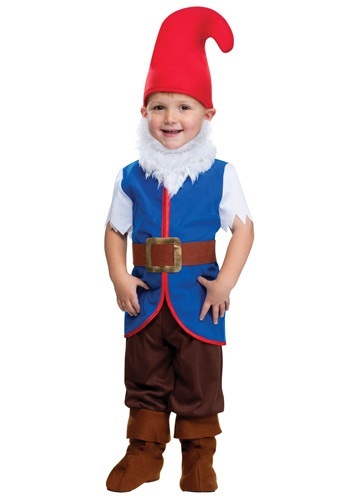 Now your little one can become a mysterious lawn gnome with this adorable costume. When your daughter wears this Toddler Gnome Girl Costume, she might decide she wants to live under a mushroom! Add boots and red & white striped tights to complete the look, and get our mushroom purse for her the collect her treats in! Give your little guy the retro look of the 70s with this hilarious costume T-Shirt. He'll be flashing peace signs to go along with his gold peace chain and showing off his hairy chest with this getup. Realistic details make this an easy go-to costume! Does your child light up your world. We mean literally, not metaphorically! We know he's the most important thing in your world, but this Toddler Light-Up Stick Man lets him do with real lights! With battery powered lights, he'll get to glow up the night in the classic design of the art doodles that fill up school notebooks everywhere. Slow and steady wins races as every turtle will tell you. No matter if it's with a rabbit or with other animals turtles always have the advantage due to their amazing ability to know the best shortcuts. 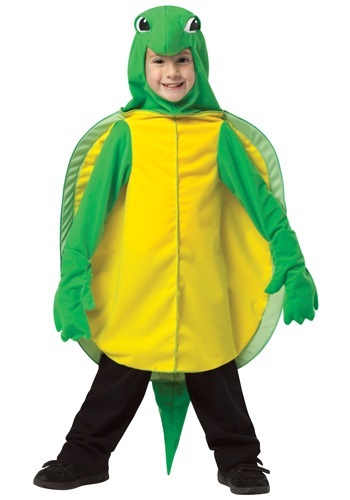 Now your little one can win the race to the most candy this holiday in this great turtle costume.